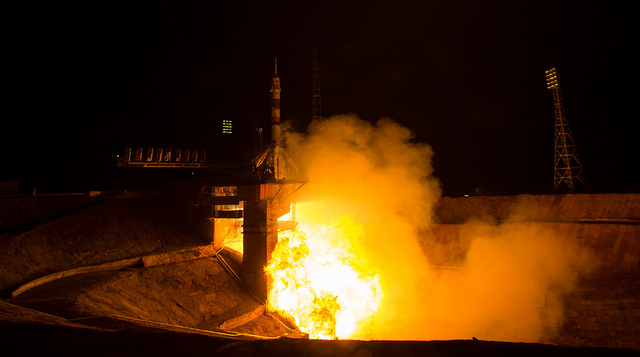 After trouble-free countdown, the Soyuz TMA-20M/46S booster’s main engines roared to life at 5:26:38 p.m. EDT (GMT-5), spun up to full power and smoothly pushed the rocket away from launch pad 1 at the Baikonur Cosmodrome, the same pad used by cosmonaut Yuri Gagarin at the dawn of the space age more than five decades ago. Liftoff came just a few minutes after the space station passed 251 miles directly above the sprawling spaceport and the Soyuz climbed directly into the plane of the lab’s orbit, setting up a four-orbit rendezvous. Live television views from inside the central command module showed rookie commander Alexey Ovchinin, strapped into the capsule’s center seat, flanked on his left by flight engineer Oleg Skripochka and on his right by NASA astronaut Jeffrey Williams, all appearing relaxed as they monitored their flight plans and cockpit displays. Eight minutes and 45 seconds after liftoff, the booster’s third stage shut down, the Soyuz spacecraft separated and a few moments after that, flight controllers reported the spacecraft’s antennas and solar arrays had deployed and locked in place as planned. 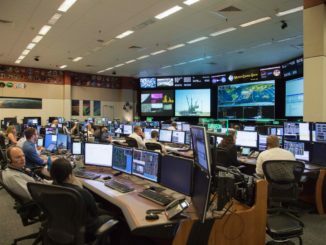 “Enjoy yourself, and take very good care of the space station for us,” Bill Gerstenmaier, director of space operations at NASA Headquarters, told the crew shortly before launch. Initially trailing the space station by less than a thousand miles, Ovchinin monitored an automated approach to the laboratory, docking at the upper Poisk module a few seconds before 11:10 p.m. Standing by to welcome them aboard, after leak checks to verify a tight seal, were Expedition 47 commander Timothy Kopra, British astronaut Timothy Peake and cosmonaut Yuri Malenchenko, who were launched to the outpost aboard the Soyuz TMA-19M/45S ferry ship on Dec. 15. 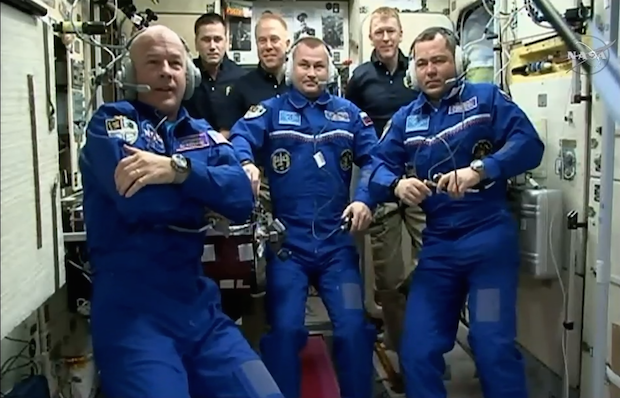 They’ve had the station to themselves since astronaut Scott Kelly, fellow long-duration crew member Mikhail Kornienko and Soyuz TMA-18M commander Sergey Volkov departed and returned to Earth March 1. Williams served as Kelly’s backup for the just completed, nearly-yearlong mission, setting the stage for his fourth spaceflight. NASA was looking for volunteers for the long-duration flight and after his wife agreed to another long separation, Williams threw his name in the hat. Williams, a West Point graduate, military parachute jumpmaster and test pilot with more than 3,000 hours flying time, said he focused primarily on refresher courses to get him back up to speed on current systems aboard the station. Skripochka, with a degree in mechanical engineering, also is a station veteran, logging 159 days aboard the lab in 2010-11. Ovchinin is making his first flight. The combined station crew faces an especially busy first few weeks in space. Orbital ATK plans to launch a Cygnus cargo ship atop an Atlas 5 rocket Tuesday night from Cape Canaveral that will deliver more than 7,000 pounds of supplies and equipment. A Russian Progress supply ship is scheduled for launch from Baikonur on March 31, followed by launch of a SpaceX Dragon cargo capsule from Cape Canaveral on April 8 that will deliver an experimental inflatable module that will be attached to the station’s Tranquility module. 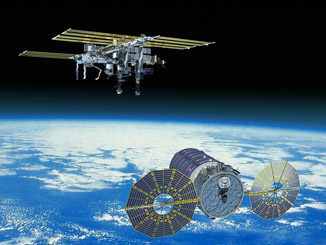 The Bigelow Expandable Activity Module, or BEAM, supplied by a company owned by motel magnate Robert Bigelow, could offer a low-cost approach to building commercial space stations or habitats for deep space missions. Kopra, Peake and Malenchenko are scheduled to return to Earth June 5, leaving Ovchinin, Skripochka and Williams behind as the core of the Expedition 48 crew. Kopra and his crewmates will be replaced by cosmonaut Anatoly Ivanishin, Japanese astronaut Takuya Onishi and NASA astronaut Kate Rubins, scheduled for launch aboard the Soyuz MS-1 spacecraft on June 21. 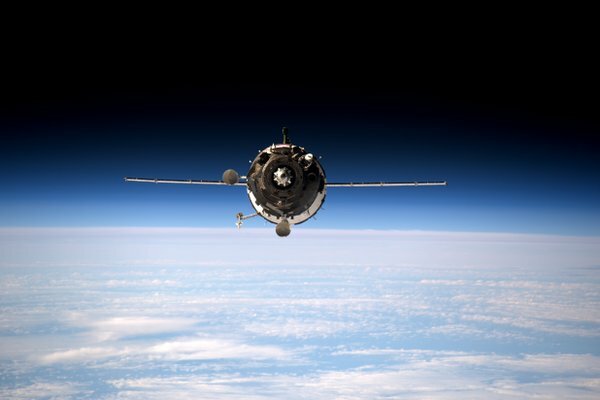 The Russians plan to launch another Progress freighter July 4 while both SpaceX and Orbital ATK plan resupply missions of their own within a few days or weeks of the new crew’s arrival. The SpaceX Dragon, making the company’s ninth operational resupply flight, will deliver a particularly critical component: the first of two docking adapters needed by commercial crew ferry ships being built by SpaceX and Boeing. 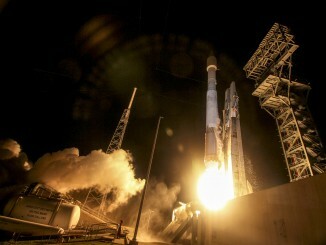 An international docking adapter, or IDA, was destroyed in a SpaceX launch failure last June. The one going up next June, and another now being built by Boeing to replace the one lost last year, will be mounted on the front and top of the station’s forward Harmony module. Operational flights by Boeing and SpaceX are expected to begin in late 2018.